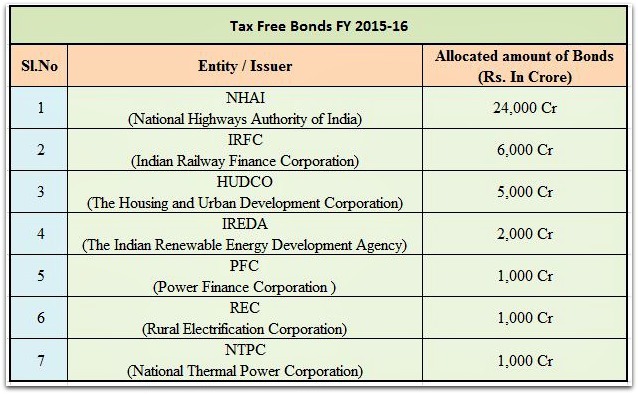 NHAI Tax Free Bonds Feb - Mar 2016 : Should you Invest? For the last few months, state-run companies like NTPC (National Thermal Power Corp), PFC (Power Finance Corporation), REC (Rural Electrification Corp), IRFC (Indian Railways Finance Corp) and IREDA have come up with Tax Free Bond issues. All these issues have been oversubscribed. NHAI Tax Free Bonds is the latest pulic issue which is going to be open for subscription from 24th February 2016 to 1st March, 2016. National Highways Authority of India (NHAI) is an autonomous authority of the Government of India (GoI) under the Ministry of Road Transport & Highways (MoRTH) constituted on June 15, 1989. NHAI is responsible for the development, maintenance and management of the National Highway (NH) given to it by the GoI and for matters connected or incidental thereto. As on July 31, 2015, NHAI has awarded 196 BOT (Build-Operate-Transfer) Toll based contracts at a total project cost of Rs. 1,69,828.62 crores and 51 BOT Annuity based contracts at total project cost of Rs. 30286.66 crores through PPP mode (Public-Private Partnership). Bonds Issue opens on : 24th Feb, 2016. Issue closes on : 1st March, 2016. Issue size including over-subscription: Rs 3,300 crore (max). NHAI Tax free bonds are proposed to be listed on BSE (Bombay Stock Exchange) and NSE (National Stock Exchange). NHAI Tax-Free Bonds will be issued either in Physical or Demat mode. Bonds Issue opens on : 17th Dec, 2015. Issue closes on : 31st Dec, 2015. Issue size including over-subscription: Rs 10,000 crore (max). The size of the issue is large when compared to IRFC’s last issue of Rs 4,532 crore. Do you think one should invest in Tax free bonds? Have you invested in any of the previous TFB issues? Kindly share your views and comments on NHAI Tax Free Bonds February-March 2016 issue. I have sell my land Rs 18.30 LACS and same has been purchased in the year of 2002 with a tune of Rs 56K now we don’t want to invest in land or house . please suggest me for the saving the tax. Dear Shashi..Kindly go through this article – How to save taxes on Long Term Capital Gains on sale of property? I am expected to get an income of Rs 2100000/-(21 lakhs) capital gain after selling my house.pl suggest me to save tax of 20% capital gain. If i gift to children, wife is it possible save tax, if so how to show in IT returns March 2017.. If you sell the property then you have to pay taxes on capital gains (if any). If you then gift the gains/proceeds to your children, then this transaction is treated as Gift and is tax-exempt. How to save capital gains tax on sale of property? 5 ways of transferring real estate property! Need your help to understand tax liability on sell of ancestral property. >We have a ancestral property (farm land) acquired by my grad father almost 50 years back. >Now Its in my fathers name which he wants to sell and give the money which is 50 lacks to me and my sister (25 lacks each). > In this case do we have to pay any tax on this gifted amount (25 lack) from my father. > My father is aged 78 years and ex gov employee, who files his IT returnd regularly. Please guide me if any tax is needs is to be paid on this amount then how much it would be and also how can I save this by investing anywhere.Also the main motive from my father is to gift this amount for the betterment of our kids who are 5 & 8 years old. Rs 25 Lakh each, is considered as Gift and it is tax-exempt. There are no tax implications to either your father or to you both. But if you invest this amount and receive any taxable income then you have to pay taxes (if any). Thanks a lot Sreekanth for the prompt reply. 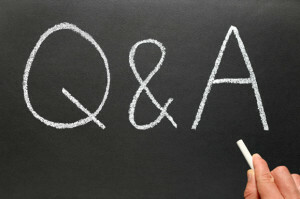 Please guide me with few more question. >Do I need to show this amount while filling the ITR? >My father has also gifted 10 lacs to his dauther in law (my wife) which she has invested in mutual funds which she will not redeem for 5 years. Is it require for my wife to file an IT return? and also will it be treated same as me (gift amount, hence no tax implication as its mentioned in the provided link). Here I would like to clear that my wife is not earning. 1 – You can disclose the gift amount in Exempt Income category as it is a considerable amount. 2 – If her taxable income is less than the basic exemption limit, filing ITR is not mandatory. Gift to Son’s wife attracts clubbing of income. But if your wife holds these mutual funds (assuming these are equity funds), then there wont be any taxable income (as Long term capital gains on equity funds are tax-exempt). Frequency of interest payment is Annual. April 1, is the expected date of interest payment. 1. Out of NHAI, HUDCO and IRFC, can you rate these companies with regards to meeting there financial obligations as long term perspective. 2. If i have invested 1 Lac rs in dec issue of nhai (value = 1000 rs for each bond)…and after 15 years, bond value is 1200 rs, then i should be getting my invested amount only or the market value at that time…consider also scenario in which value is decreased after 15 years. 1- All these TFBs are being issued by State-run companies (Govt backed entities) and have high Credit Ratings. One can subscribe to TFBs from any of these companies. 2 – Investors get the face value of the bonds back at the time of maturity of these bonds. Also, one can receive the periodic interest payments. Dear Jawad..I did get your query..kindly rephrase it. Is the principal amount i.e the face value is guaranteed at the time of maturity or can it be even less? Dear MANISH ..It is guaranteed..you get Interest payments too. If I invest 1Lac in 2015, will it compound over for 10 years and I will be eligible to cash it? So from the next year, if I choose to do it, it will again be matured in 10 years. So it will be like a steady income every year after 10 years right? So, what portion of savings you suggest? As interest earned is Tax Free, it does sound like a good option. It depends on your financial goals and risk profile. Do not invest in any product based only on ‘taxation’ aspect. Thank you for pointing this out. 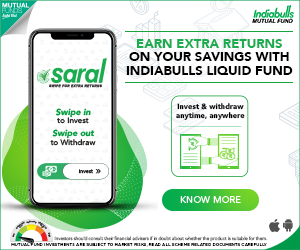 Can you please suggest me some mutual funds for long term investment. Dear Karen..Kindly read : Best Equity funds. am just 27 , & pvt co employee . It is not mandatory. But it depends on the issue guidelines.Some issues offer bonds in physical form & some in both modes (demat & physical). Hi ! can U kindly confirm that the NHAI 2015 issue can actuallyt be subscribed by NRI as is stated by you. My understanding is that NRI’s are not allowed to subscrine to this issue. Thank you for pointing this out. I have double checked this and NRIs are actually not eligible to subscribe to this issue. I have now corrected this point in the article. Please suggest some mutual funds for long term investment through SIP. Monthly Rs 3000. Dear Suresh..Let me know your investment horizon ? ?